United States v. McBride, 2016 U.S. App. LEXIS 13479 (10th Cir. 2016), unpublished, here, involves a relatively common scenario -- a U.S. taxpayer who adopts a claimed sincerely held belief that he does not owe tax in mask his tax evasion. 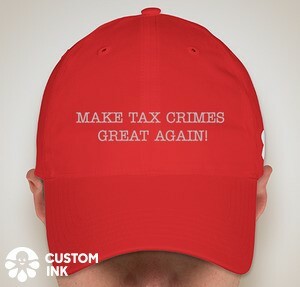 Cheek v. United States, 498 U.S. 192 (1991) holds that a sincerely held belief -- one actually held -- defeats the willfulness element of evasion and most tax crimes. Generally, given the rigor with which the IRS and DOJ investigate tax crimes before charging, most cases where there appears to be a real sincerely held belief are not prosecuted. DOJ Tax tries to authorize prosecution of only those cases where the claimed sincerely held belief is a ruse for tax evasion. Generally, when prosecutions are authorized, the prosecutions result in conviction. So it was in McBride. The jury convicted after McBride took the stand to further his claim. (The jury did acquit for one count of evasion, but as the Court notes in fn. 4 that may have been because they did not find the tax due and owing element for the crime.) The opinion is not remarkable in that respect. Ladies and gentlemen, having earned millions of dollars, Mr. McBride decided to pick up the bogus philosophy to try to save what he had left. To him paying taxes, it seems, is for schmucks, working stiffs like you and me, who go to work everyday, earn our keep, and pay our taxes. He placed himself above that. It's the ultimate irony, ladies and gentlemen, that Mr. McBride, who speaks so passionately about his love for the Constitution, has taken a course that would present a great danger to the Constitution of the United States. The Constitution is based on a few bedrock principles that we hold dear. One of them is that we are a nation ruled by laws, not by men. There are very few countries that can say that. There are two things that remind me of this great principle. One is when the Office of the Presidency of the United States changes hands from one political party to another. That's inspiring. The other experience that reminds me of the rule of law is when I walk into this building, because it is here that the rule of law is acted out each and everyday. Mr. McBride stands in opposition to the rule of law. He stands for the proposition that each person may be a law unto himself. If we don't like the law, we just interpret it our way. If I don't like to pay taxes, I just adopt the belief that earnings are not income and hope to fool people into thinking I'm acting in good faith. Where would that lead, ladies and gentlemen? It would lead to anarchy and chaos. Perhaps none of us loves paying taxes, but we do it, don't we? We may grumble a bit, but we do it because we're in this together. This great country thrives because the vast majority of its people have accepted a priceless social contract, a common commitment to do our part to maintain this country's greatness. We pay our taxes because we want to contribute to the well-being of our communities and our nation, we pay them because we don't want to be a burden, our -- we don't want the burden of our taxes to fall on others. And if there are those who, through no fault of their own, can't pay, we gladly carry their load. If we didn't, who would pay for the freeways that Mr. McBride drives on everyday, who would pay for the airport security that protects him on his flights to China, if we didn't, who would pay his medical expenses when he gets old, and for that matter, who would pay ours? Those things cost money. Mr. McBride has been enjoying them for free for the past nine years or more. And whether he pays another dollar of taxes, we'll keep paying ours. But if he's getting a free pass, ladies and gentlemen, by committing the crimes charged in this Indictment, then it is time to hold him accountable in the interest of what we hold dear. Thank you. On the other hand, the prosecutor's remarks in his rebuttal argument inviting the jurors to convict based on their pecuniary interests as taxpayers are most likely improper. United States v. Morris, 573 F. App'x 712, 725 (10th Cir. 2014) (unpublished) ("'Remarks invoking the individual pecuniary interests of jurors as taxpayers are universally viewed as improper.'") (quoting United States v. Palma, 473 F.3d 899, 902 (8th Cir. 2007)); see also United States v. Lopez-Medina, 596 F.3d 716, 740 (10th Cir. 2010) ("The cardinal rule of closing argument is that counsel must confine comments to evidence in the record and to reasonable inferences from that evidence.") (quotation marks omitted). It was coupled with commentary suggesting to the jury that it had a civic duty to convict to prevent "anarchy and chaos" and other social ills. See United States v. Rogers, 556 F.3d 1130, 1143 (10th Cir. 2009) ("Prosecutors are not permitted to incite the passions of a jury by suggesting they can act as the community conscience to society's problems.") (quotation marks omitted); Wilson v. Sirmons, 536 F.3d 1064, 1120 (10th Cir. 2008) ("It is improper for a prosecutor to suggest that a jury has a civic duty to convict.") (quotation marks omitted); United States v. Taylor, 514 F.3d 1092, 1095 (10th Cir. 2008) ("Appeals about the need to address societal ills speak not to the question whether the accused committed the crime alleged, but divert attention from that dispositive question and confuse the task of the jury—as finder of fact—with the task of elected officials—as the authors of social policy. "); but see Fleming, 667 F.3d at 1104 (the restriction against inciting the passions of a jury "is balanced . . . by the acknowledgment that in an emotionally charged trial, the prosecutor's closing argument need not be confined to such detached exposition as would be appropriate in a lecture") (quotation marks omitted). That combination of argument may well have pushed the remarks over the line. But that is only the beginning, not the end, of our analysis. Importantly, the extent of the possible misconduct was minimal. The concluding remarks were lengthy but they still spanned less than three pages of transcript. And, while the record indicates the prosecutor's rebuttal closing argument may have been scripted, there is no indication the "double ruse" comment was anything other than a spontaneous, off-the-cuff remark to defense counsel's objection. Lopez-Medina, 596 F.3d at 740 ("We have often held that a stray improper remark in closing is no basis for upsetting a trial and requiring the parties and district court to redo their ordeal.") (quotation marks omitted). The role of the claimed misconduct at trial was negligible. The concluding remarks, even if technically inappropriate, merely stated the obvious—that tax revenues are used to fund public services and if an individual ignores his responsibility to pay his taxes the burden to fund those services falls on those who do. See Morris, 573 F. App'x at 725 (no plain error where prosecutor argued that when the defendant stole from the IRS, it stole from the jury; "[i]t would surprise no jury to learn that IRS refunds consist of taxpayer dollars—and that fraudulently obtaining refunds depletes tax revenues"). They were also interspersed with proper argument, weakening their improper effect. n8 In any event, there is no indication the jury convicted McBride based on these comments (or, for that matter, the "double ruse" remark or the combination of both), as opposed to the evidence. Indeed, had the comments so inflamed the passions of the jury, it seems unlikely it would have acquitted on Count 5. Finally, the evidence at trial overwhelmingly established McBride's guilt. As to Count 1, he reported zero income on his 2005 amended return even though the Schedule K-1 he received from The Clip Company for 2005 (and which he attached to the amended return) showed that was not true. With regard to Counts 2-4, the evidence revealed he (1) earned over $400,000 from The Clip Company and Cliphanger from 2006 to 2009, (2) netted substantial proceeds from the sale of his vacation home, and (3) received over $27,000 in retirement distributions. Yet, he reported none of it to the IRS. And although McBride testified he sincerely believed these things were not income and therefore not subject to tax, there was ample other evidence demonstrating this belief was not sincere but rather a convenient theory he adopted to avoid paying taxes. Or the jury could have simply disbelieved him. United States v. Oliver, 278 F.3d 1035, 1043 (10th Cir. 2001) ("It is left to the jury to weigh conflicting evidence and to consider the credibility of witnesses.") (quotation marks omitted). McBride's arguments are unconvincing, not to mention damning in the desperation they reveal. He claims the prejudice resulting from the "double ruse" and concluding remarks was exacerbated by the fact they were made by a prosecutor, whose opinions carry the imprimatur of the government, in rebuttal closing argument, the last thing the jury heard before beginning its deliberations and at a time when he no longer could respond. He also claims the judge "compound[ed] the prosecutorial impropriety with judicial imprimatur" by not taking curative action. (Appellant's Op. Br. at 25.) But our review of prosecutorial misconduct obviously accounts for the fact it occurs at the hands of the prosecutor. Similarly, our abuse of discretion standard of review accounts for the fact that judges may sometimes (and properly) leave prosecutorial misconduct uncorrected. Finally, the context in which prosecutorial misconduct occurs is important and has been considered in this case. But, reversal is only required if that misconduct deprived McBride of a fair trial. While it may not have been perfect, it was abundantly fair. United States v. Brooks, 727 F.3d 1291, 1307 (10th Cir. 2013) ("It is a well-settled principle that a litigant is entitled to a fair trial, albeit not a perfect one.") (quotation marks omitted). I have no comment since the argument and the court's resolution of the claim speak for themselves. I am reminded, however, of a case I had while with the DOJ Tax in the trial section. I have a case involving the issue of whether "oyster pickers" were employees or independent contractors. The seafood houses whom they served or provided product (depending upon how you looked at it) treated them as independent contractors. The IRS determined that, although the relationship had some characteristics that could support independent contractor treatment, that on balance they should be treated as employees. That would mean that the seafood houses would have to withhold income tax (probably none in the final analysis given their levels of income) and pay and withhold FICA tax. The treatment through withholding of the FICA tax would eventually entitled the oyster pickers to social security retirement payments. But that entitled is not a reason to treat them as employees. Rather they are treated as employees on the basis of the traditional multi-factor test distinguishing employees from independent contractors. So, when we got to closing argument, I did focus on those factors because the judges jury instructions would focus the jury on those factors. But I also made a closing argument that was at the edge. Toward the end of the argument, I pointed to the two seafood house owners who were involved in the case and pled to the jury something as follows (I don't remember the exact words): "Where are [naming the names of the owners but don't recall them now] going to be when these people are too old to work. [I pointed to the two seafood house owners.] They will have no further use for these oyster pickers who then will have no means of support. And they won't offer them any retirement, but if they are employees, they will have retirement through social security." I am not sure that crossed the line, but it was an argument appealing to emotion rather than the relevant matters in the case. Opposing counsel did not object. The judge did not object (but there is some reason to believe that he faded in and out of interest in the case, so he may not have been paying close attention). The jury then could not reach a verdict. A hung jury. That was the only jury trial that I did not win. With the judge's permission, opposing counsel and I did talk to jurors after the conclusion. As it turned out, in a six juror panel, 5 were in favor of the Government and 1 for the taxpayers (the two seafood house owners). The one holdout expressed to us extremely dislike and suspicion of the Government trying to tell people what to do (a theme of opposing counsel in his closing argument). On the them the trying to appeal to juror's prejudices, opposing counsel did in his closing argument beat the them hard of the Government coming out of Washington to tell locals what to do. So, in my closing argument, I did get to announce that I was from Greenwood, S.C., just a bit up the road (actually at other end of the state) from Charleston where we were trying the case. I think the jury could figure out from my accent that I was a Southerner, but the accents in the upstate are a good bit different than those in Charleston, so I felt I had to tell them I was from the same state. Finally, one anecdote from the trial. I called a number of the oyster pickers that I had deposed to be witnesses a trial. One of those was Toby Green (as best I recall it, but could be wrong as to the name given the lapse of time). I asked my questions on direct and got what I felt I needed. Opposing counsel -- who, by the way, knew most of these oyster pickers from various connections including doing some oyster picking with them -- then started his cross-examination. He asked leading questions. Mr. Green then kind of picked his leg up and put it down hard and told the opposing counsel that (maybe not an exact quote, but close): "I am not going to answer your questions. I know what you are up to. You are trying to trick me. I know because I have been to law school." At that point, even the judge woke up from his semi-haze. Opposing counsel was stunned because he knew Mr. Green and knew he had not gone to law school. And it was clear to everyone in the room that Mr. Green had not gone to law school. So, opposing counsel just passed the witness, and I announced that I had no further questions. And, everyone thought the matter had passed. But several witnesses later, another witness was on the stand. His name sounded like Green (perhaps it was Greene, but I don't remember exactly now other than it sounded like the name of the earlier witness). The judge then asked that witness if he were kin to the earlier witness -- the question was something like this: "Are you kin to Toby." (Using first names for that racial minority was part of the Jim Crow tradition.) That witness then said "yes." In fact, that witness was not kin to the earlier witness, but I think he thought the judge wanted a yes answer, so he gave it. The judge then asked, "Has Toby ever been to law school." That witness said: "I don't know." And that was the end of the matter. To give the end of the story, after the hung jury, both sides ask the judge to decide the case with our giving him a transcript. (That probably would have been good form, but I think he needed it because it is not clear that he was the most attentive judge.) In such cases, my understanding was that the judge would routinely agree to make the decision, rather than have to go to another trial involving inconvenience to many, many witnesses as well as the judge himself to sit through it again. At any rate, the judge refused. Then, before the case could be retried, a judge from Illinois (I think) came down to Charleston to help work through some old cases and our case showed up on his docket. We asked him to decide the case on the basis of the transcript. He agreed. (This judge could make decisions.) The Government lost the case. Win for the taxpayers. Oh, well. (I suspect that had the original trial judge decided the case, he would have made the same decision.) The case name as I recall it was Carolina Seafood. I will have to see if I can get a citation later.